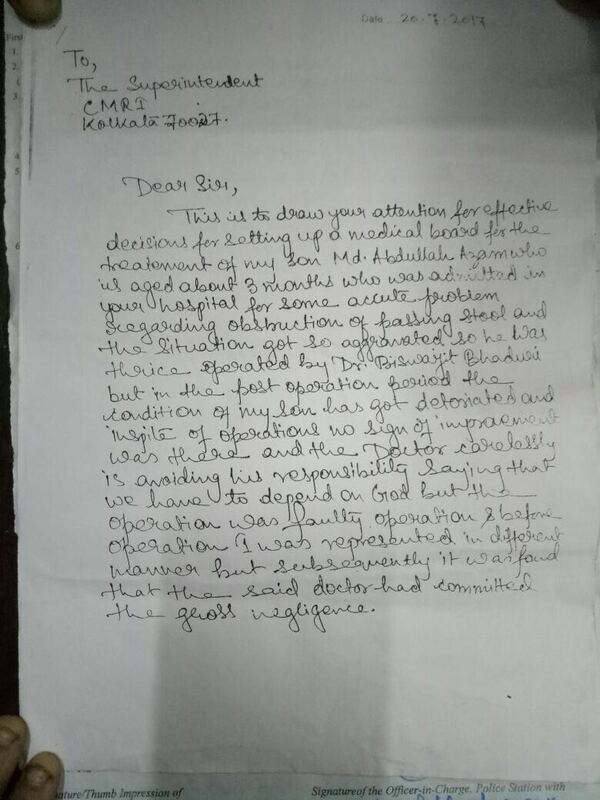 Medical treatment facility has collapsed in Kolkata despite of CM intervention in the matter. The latest issue is enough to bring tears when you see the snaps of a 3 months child undergoing 3 operations. 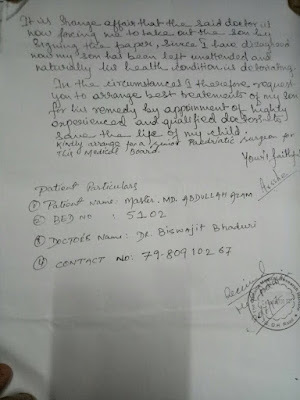 Calcutta Medical Research Institute is the name of the hospital - Address: No 7/2, Diamond Harbour Road, Ekbalpur, Kolkata, West Bengal 700027.The doctor name under whom he was admitted and the operation was done is Mr. Biswajit Bhadhuri. The 1st Operation was done on 3rd April and the next operation was executed on 12th July where the doctor did some mistake and finally another operation was done on 17th July. 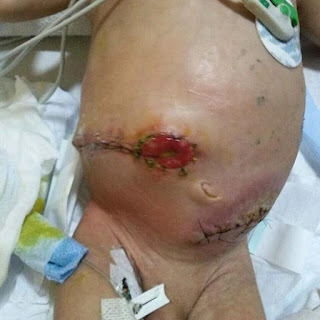 3 month old child and 3 operations. 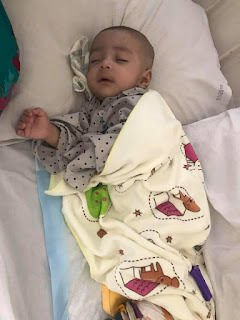 The parents was proper treatment from the hospital as they can provide the same but the Hospital Authority are ill behaving and not taking proper care for the child and demanding the parents to take discharge. The parents don’t want to take any discharge. They demand proper treatment. 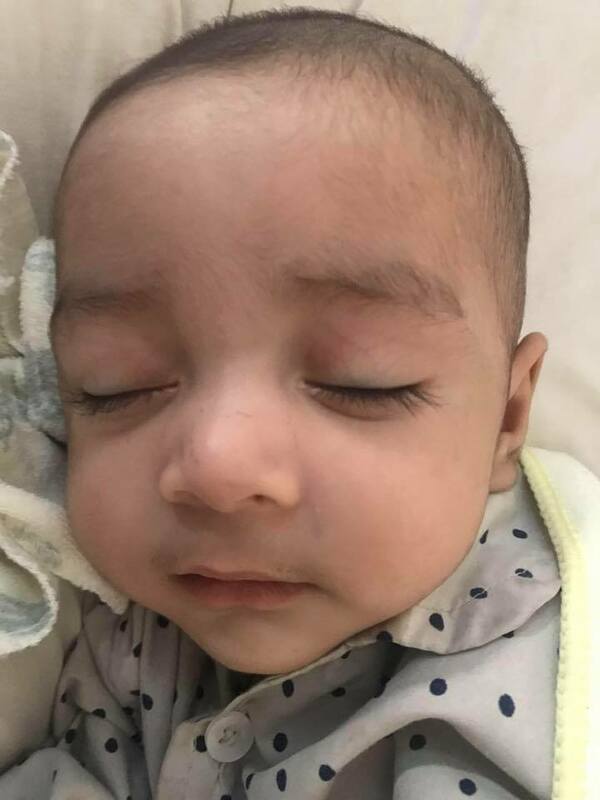 Please raise the voice and look that the child gets proper treatment. The above snaps of the operation speaks how they patient is being handled by the doctors and hospital.. Please I request WHO and other medical institutes to come forward to save this child and get a proper treatment. 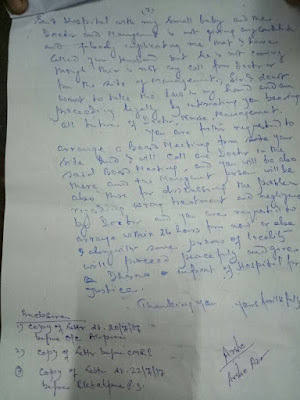 These FIR and police case will not lead to solve the problem. I request CM special intervention to save this child irrespective of cast and creed. I am enclosing other documents related to FIR copy and medical documents. The medical condition has deteriorated and doctors are busy in playing their game. 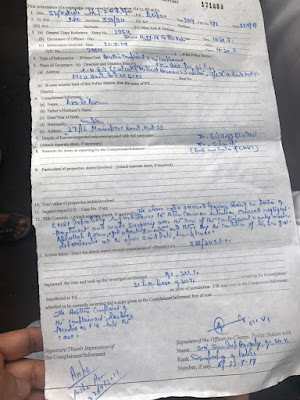 I am enclosing a copy of the FIR which have been lodged but till now its of great pain for the family and more for the child to suffer due to foul treatment of the doctors. If anything happens to the child who will be blamed. 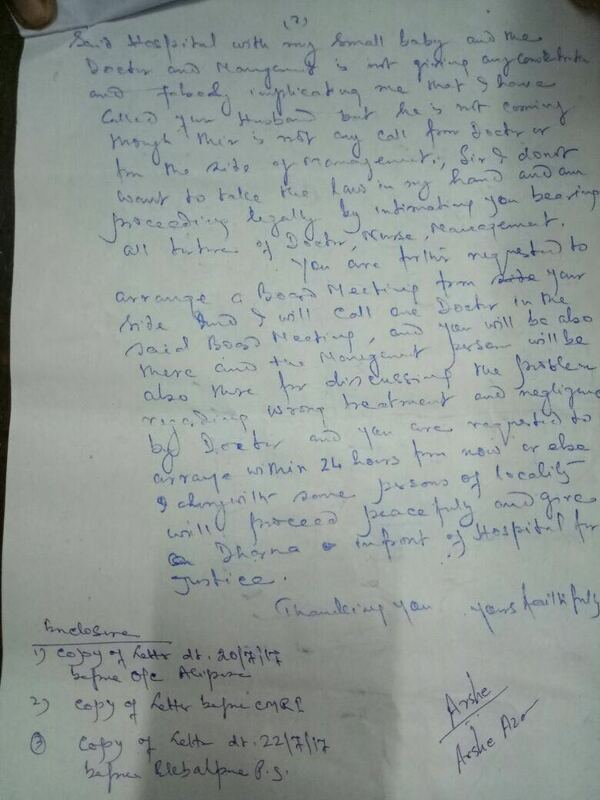 It seems like Kolkata doctors have become butchers and their only option is making money out of living patients till converting them into dead bed. I know we are all busy with our own life and we don’t have any botheration for this family and neither are they related to me. 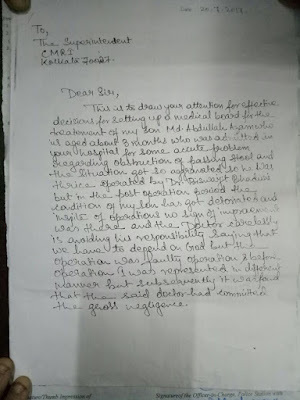 But as human being and looking at the child’s face I want all of you to raise and share this matter about the continuous failure of the medical facility in Kolkata. Its not about any political party he is representing neither any cast. 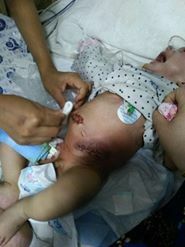 Look at the child face and the images before you go ahead with your strictures. I want the society, police and the west Bengal government to come forward to save the child and get proper justice for the family. For the sake human mankind and for the sake of child please do something so that the child gets good treatment and is being saved. The type of compliance requirement and the depth of the work of GST lead to a significant demand of young professionals to come up much faster to fill up the vacancy. There is huge demand which is going to increase for people to work in finance and account division across nay industry. Now companies will not be able to absorb multiple CA and ICWAI fellows into their system for GST work as salary related cost is significant. Hence companies will get into hiring of B.com and college graduates as low cost and train them accordingly for the GST related. GST education is very important and it seems that the Institute has a weapon in hand where it can provide certification of GST and also relevant costing subjects within a very short time frame. Yes short time of frame is the demand keeping the next 3 to 6 months in hands. The Certificate in Accounting Technicians (CAT) can be easily used to get into limelight and get the same subject into GST dominated subject educating and training the students like who are B.com and just graduate passed. Our Institute is established under the Act of the Parliament and hence we have beyond 100% validation of our certification. A crash course of CAT can be designed to benefit the industry demand, society as well as brand building for the Institute. The most important aspect is that for this segment there are no costing rules and records limitations and hence SME’s who need good qualified professionals as low cost, CAT can provide the same to them. We can get a healthy employment generation through CAT for the SME industry across any turnover limit. The institute can include a live training session of 20 hours computer course for the in hand experience of GST. The institute can design crash course of 3 months exclusively with accounting, costing and GST related syllabus so that we can generate qualified professionals for the Indian economy based on the current demand of GST professionals. Just calculate how many families will come out of the poor dark backgrounds into a very lucrative and positive living life. This course can be designed to uplift the poor economic background driven students from the society into a well educated, knowledge driven society. In today’s society the easiest way to get rid of poverty is to get into some education and get an instant job. We find millions of hoax advertisements where student are duped by proving baseless and useless education to the students by tempting them with job opportunities. This course certification will revamp the brand building of the Institute as well as grand success for the CAT course which is somehow neglected compared to the main course. Costing profession has always been a boon to the society whether in terms of socio-cost identification or making Indian economy to be cost competitive. We need CAT syllabus to be changed and make it more prune to the industry demand oriented syllabus, getting away from traditional syllabus. Skill India has been a boon for the Indian economy. The entire syllabuses have been revamped to fit exactly like the industry requirements. 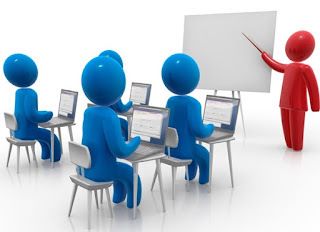 Keeping the CAT course in similar lines GST certification course can be included along with CAT to make a grand promotion of the course of CAT and uplifting the society with educated, well trained manpower. I have found that many individuals have now come up with GST certification course. It’s the responsibility of our profession to make the society aware of such non valid certification and simultaneously promote our CAT course as GST certification included as we are set up under the Act of The Indian Parliament. As a profession we should use CAT for GST certification to save the society from these duping devils who are playing with the dreams of the students for a better living life. Demonetization has lead to a significant change in market dynamics particularly for the rural economy where cash based transaction is the king. Non-availability of cash and change in surplus cash holding might have impacted the demand demographics of the consumer. Costing Accountant and costing methods have been always beneficial for the socio-economic development and its carries a huge responsibility towards the society. Costing tools have made product accessible to the society at large. People have started dreaming of consuming products which they never dreamt. The historic case of Maruti being launched in India was a perfect example of adopting costing methods and tools which made people of India believe to have car of their own. Cost Accounting profession, its rules and records have played a pivotal role in uplifting the consumer and social aspect of the society. Now Small and Medium Enterprise faces a huge challenge post demonetization to carry ahead of the consumption market. Target costing is best costing tool to be deployed for designing products pricing based on changed market structure. 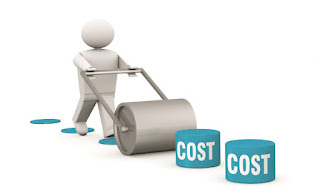 Changing business climates and opportunities followed with uncertainty have compelled to adopt strategic cost management techniques and hence Target costing is one of the tools to be adopted and implemented to wither out the uncertainties. Gone are the days of traditional pricing of products and also monopolistic market control. Technologies have already changed the demography of business and hence strategic cost management needs to come up. Today’s innovation and entrepreneurship plays pivotal role in Indian economic development hence cost control and strategic cost management is the essence of the time. Post demonetization big corporate will be able to wither the pains of slow growth from rural economy but SME’s cannot afford to have the same. Doing Cost Management in SME (small & medium sized Enterprises) is different from big corporations, mainly because of resources. SME cannot use the same resource input in managing cost and hence these are often unmanaged. The effect of not adopting target costing and following the traditional costing will be that buyers in rural economy may not be able to buy the products which used to be purchased by them pre demonetization era. This is a significant drawback for the economic growth. In one side the consumers will starve for not getting products within their reach, on the other side manufacturers will suffer as consumption comes down. At the same time if an SME don’t adopt Target costing then he will lose out his market share to the ones who adopts the same in large organizations. Target costing helps to adopt the market driven product design and pricing accordingly. Tools of operations management such as quality function deployment (QFD) and value engineering (VE) have been considered. These should be adopted to get hold of the market post demonetization. Efficient cost management is the need of the time since gestation period of getting replenishment of stock will be time consuming and hence without proper cost management a SME will not survive in the long term. Post demonetization packaging of products will be key factor to derive growth and as well as sustain growth initially. A small different variety product being offered with large product types will be few of the key packaging aspects of products for offering in rural economy. Designing of products judiciously followed with control over fixed cost as manufacturing trends to slowdown will be a key aspect for the SME. Market dynamics have changed and hence it’s no longer a onetime process for developing designs. Designing of pricing mix will be a key aspect for the SME as it will induce consumption within the cashless economy. Many SME will be thinking that adopting costing methods and tolls will be expensive. A practicing cost accountant is there to resolve the issues for an SME helping out to derive cost control and strategic cost management strategies. 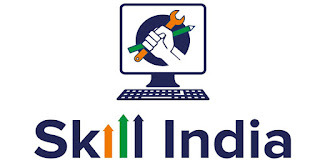 Skill India syllabus should be based upon the Industries requirement and the same course should be decided by companies like Reliance, TATA, and Mahindra etc. The prime reason behind such an act of development should be that technology and geopolitical structures are changing the business model and hence education quality should also change. Gone are days of traditional studies. Every year so many new technological innovations create complex business education which hardly comes into the text books. Course or Syllabus designed by the industry heads will create faster job opportunities, faster career enhancement and also a well trained human power for the Indian economy. The Young generation is restless today, they don’t want to settle for less. Further if India wants a GDP growth of 9%+ in that case a skilled manpower with enhanced education of the industry is the only way to succeed. When industry heads get well trained educated manpower then they don’t have to spend much time on training, will be a win-win proposition for the company as well as for the candidates. Skill India success can be multiplied when Private Equity investors and angel investors come forward with their expertise of technical know-how and to develop skills in rural Indian which is treasure of growth for the Indian economy. Quality of education will be best growth strategy for an economy to develop much faster. If an economy is having poor quality of manpower then investments will not grow since Return on Investments comes from human capital/manpower. Indian young generation doesn’t needs text books and traditional education for earning bread and butter. They need expert education which will make the industry grow from day 1 of their joining. The faster we educate them with appropriate knowledge of operating an industry or segment the faster will be the Indian industries competitive position enhancement. Now days video tutorial have changed the landscape of the education. Many foreign educational videos related to skill development can be converted into Hindi or mother language to train and uplift the skill of the manpower in the semi and rural India. Technology based skill development will be boon as its will promote entrepreneurial mindset among the people. Today the agriculture sector is struggling as there is no link between framers and end user and hence they are not getting proper prices for their production. Now many small domestic e-commerce platforms can start their ventures having knowledge about e-commerce business model. We need active skill development activities so that migration of employees towards Urban area is controlled and reduced so that there is no imbalance on the equality of living life. In this perspective I would suggest that financial management knowledge and business management know-how should be shared with the skill development syllabus so that they understand that how their skill and training will enhance the industries revenue and growth and finally the growth of the Indian economy. By inviting industries heads to design and suggest the syllabus we will create huge talent pool which will get easily absorbed by the industry before they finish their course. This skill development will be great tool for improving the quality of life and filling up the income in-equality which have been ruling for so many years in India. Income in-equality has been massive destruction for the society and hence skill development can only narrow down the gaps of the income in-equality. Development of the society and law and order cannot be improvised unless initiatives’ like skill India broadens the Indian human capital. India has huge potential of energy which is in the form of human capital which one needs to exploit towards knowledge driven well educated economy. Industry heads plays pivotal role behind human capital improvisation and skill India linked up with industry related education can be a game changer for the economy. COST AUDIT HELPED GOVT FOR PHARMA PRICE CONTROL THEN WHY NOT FOR BANKS??? If the Cost Audit and Cost Record helped the Government to take decision on drug pricing then the same reports should have saved the government and banks to have NPA of RS 14.5 lac cr built over the last several years. 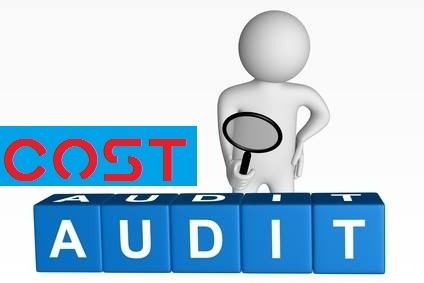 Over the last couple of years or decade industry have asked what the utility of cost audit is and cost records and what benefit it gives to the government and society. Financial audit profession has been hailed very positively by the industry whereas we cost accountants have been deprived from many opportunities. The recent benefit of the cost audit and cost records which have government implemented is under the category of Central Excise Tariff Act Heading (wherever applicable) 9018 to 9022. India's National Pharmaceutical Pricing Authority (NPPA) issued an order to fix the ceiling prices for the two main categories of cardiac stents. The order stated that “huge unethical markups at each stage in the supply chain” resulted in “irrational, restrictive and exorbitant prices in a failed market system driven by information asymmetry between the patient and doctors and doctors pushing patients to financial misery. According to the data of National Interventional Council (NIC) . Cardiac stents price were slashed by 85% which is a big boon for the society. The data also showed a progressive increase from 2010 to 2015 in the number of centers performing the procedures and in the number of coronary interventions made. 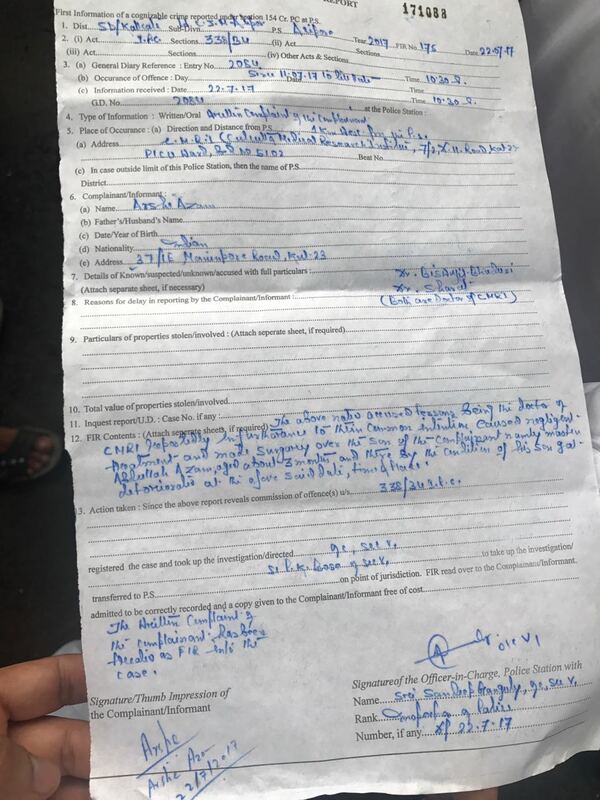 But the rates charged for stent procedures ranged from Rs.23,000 at Central Government Health Scheme (CGHS) hospitals to over Rs.2 lakh in private hospitals, which put them out of the reach of the common people. Cardiovascular diseases (CVDs) were on the rise and a leading cause of morbidity and mortality in India. Some 25 per cent of overall mortality in India was attributed to CVDs, with coronary artery disease (CAD) the most common CVD, accounting for 90 to 95 per cent of the deaths. In India, the prevalence was higher in the under-70 age group compared with the West. A report of the National Commission on Macroeconomics and Health estimated the number of CAD patients at 61.5 million in 2015; of them, 23 million were estimated to be under 40. Hence the price controls have been a boon. National Pharmaceutical Pricing Authority (NPPA) has asked the health ministry to add four more medical devices to a list of products eligible for price controls to reduce costs to patients. The list comprised of more than 350 items, most of them drugs - should include balloons, cardiac catheters, and covered as well as peripheral stents, “as soon as possible”. These devices are used in the treatment of heart ailments or to open blocked blood vessels elsewhere in the body. All these price measurement was executed based on the cost audit report which the government receives from the cost audit report submitted by the cost accountant. Even the price declaration to be given by hospitals to the patients includes mentioning the cost of the coronary stent along with its brand name, name of the manufacturer/importer/batch number and other details, if any, in their billing to the patients. Now if the same cost audit report is attached with the financial statements for getting loans from Banks then the banking management would have been saved from exploitation of funding the weak companies. In most of the cases its being found that exponential prices, extensive mis appropriation of cost and capital have been one of the prime reasons behind NPA. Today the Banking industry is having NPA of Rs 14.5 lakh corers. This amount should not have grown if cost audit report should have been used as guidance to get an idea about the internal business, industry and its cost competitiveness to pay pay back the banks. Willful defaulters have judiciously used the expertise of the financial statements certification provider by cooking number. Public sector banks (PSBs) have reported 16% rise in number of willful defaulters at 8,167 who collectively owe them Rs76,685 crore. Now these willful defaulters companies comes under the cost audit ambit and hence their cost audit report should have been guide for the industry. The government and banks feel that despite having resources, these willful defaulters have not repayed the loans and have diverted the loan money to other ventures. The governments have asked for forensic audit which is executed only when the company comes under default or NPA category. Cost audit report should have warned the banks about its internal process and competitive pricing which along with the financial statements should have given validation to the financial statements. Many of the willful defaulters have sold assets that were pledged to get loans without knowledge of the banks. Cost Audit report trend should have been guidance to the Banks about their activities as business process and performance was falling down. Cost Audit report should be made mandatory along with financial statements to get loan. This will help the Banks management to understand the depth of financial statements cooked and later on is the client is walking down the path of willful defaulters. The Indian government should now make cost audit mandatory with financial statements to avail loan. This will safe guard the banks from giving loans to willful defaulters and also saves tax payers money. 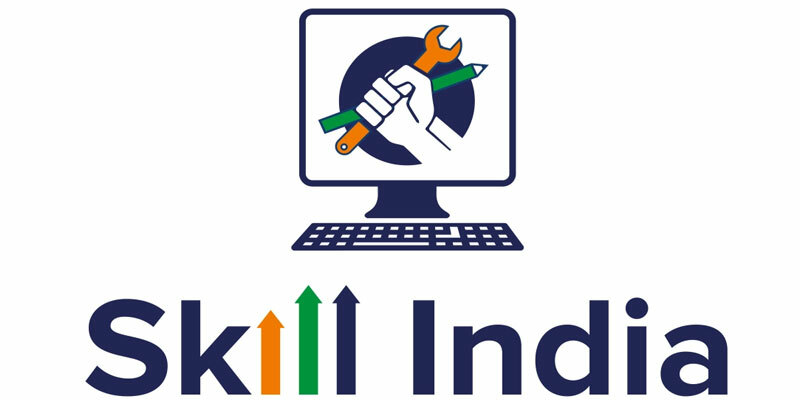 Skill India Initiative will not grow merely by giving technical know how and financial support to them Make in India can only happen when cost measurement is possible. If one SME is not able to measure the cost which will make his product competitive will finally lead to failure of the Skill India and Make in India initiatives. Pricing of gods produced in India should be competitive not only domestically but also on the export market is dependent on cost management and pricing management. Long term sustainability of Pradhan Mantri MUDRA Yojana, Make in India, Startup India, and Skill India will be the most important aspect since all these segments needs to scale into mid and larger companies over the long term. Unfortunately the whole segment of SME below Rs 50cr and Rs 100 cr turnover under regulated and unregulated industry have been kept out of the Cost Accounting, Cost Auditing and Cost Record Maintenance.Remove the threshold limits of turnover and reduce the same so that most of the SME comes under cost audit ambit. Improving the SME segment in rural India which will create new business opportunities and employment one needs efficient support of cost management and pricing support. Post demonetization there have been a significant slowdown in the rural credit off take and hence new business opportunities have taken set back. India is quickly stepping into a market-oriented economy which requires many facets of its economy and society to be changed. Banks are also reluctant to fund under SME segment due to NPA issues biting their profitability.Remove the threshold limits of turnover and reduce the same so that most of the SME comes under cost audit ambit. Now a question might come up that SME cannot afford cost audit and cost record related compliance aspect. Well Indian SME can afford the same since most of the work can be outsourced and will be managed by the practicing cost accountants who based on certain fee will take care the entire part. 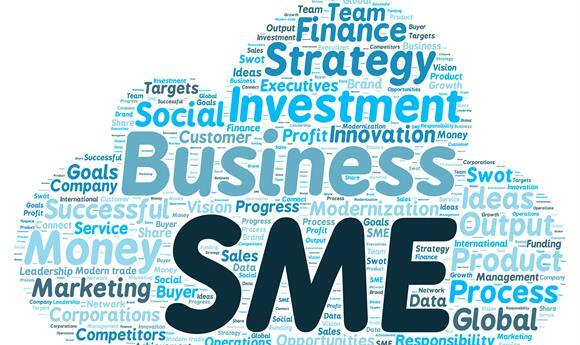 Hence SME will not face the burden of huge compliance cost as its expected by the industry. Practicing cost accountants can take care of the same. As per a latest study conducted by SAP and Oxford Economics of 2,100 executives across 21 countries, increasing global competition has been cited as the top concern affecting Indian SMEs. 43 per cent Indian SMEs said global competition as their major worry. Economic uncertainty (34 per cent) and shifting customer expectations (29 per cent) were second and third most critical concerns. The current trade barriers by US and also the deteriorating condition of Europe is matter of concern for the SME export market in the long term. SME’s are facing the heat of rising global war material prices and also pricing strategy of their products. The applicability of costing standards and cost audit will help the SME to identify the cost reduction and pricing. Currently cost cutting is not the same thing as cost control. Owners of SMEs are concerned with cost cutting which often leads to resource cutting. Holding back resources has implications on behavioral aspects of the firm. Motivation of people gets affected and the quality of output suffers in a cost saving exercise. Such cost saving exercises are ad-hoc and discontinuous. On the other hand cost control is a planned and continuous process. Cost controlling may not always result in resource cutting. Changing the source of raw material by exploring better logistical feasibility is an example of planning for controlling cost. But replacing the superior source of raw material with an inferior cheaper variant is what SME managers end-up doing as an alternative cost saving mechanism. The process of costing is unscientific and vague. Direct costs are fairly traced to the final output but the method of tracing indirect costs and overheads is not appropriate. This results in wrong calculation of unit level product cost which eventually results into wrong pricing in the market. Indirect costs are usually bundled-up into a single aggregate expense and then spread across various products using heuristic basis of allocation like volume of production or labour hours per category of product etc. But such simplification in measuring and reporting of costs does not give a clear picture about how costs behave for each of the categories of products sold by a SME. Unavailability of unit level and product level data then becomes a major constraint in keeping track of costs. Our neighboring country China has undergone significant restricting of its economy towards a market oriented economic system. The focus is laid on management accounting practices in small and medium enterprise industries. According to the statistic data of China, micro, small and medium enterprises (SMEs) comprise 97% of all firms, accounting for 80% of urban employment, and for 60% of total GDP. This growth have been phenomenal as china adopted management accounting in confronting the pressure from current higher cost, only by improving financial cost management, SMEs can overcome difficulty and fulfill sustainable and healthy development. The institute of Cost and Management Accountants of India (ICMAI) and its professionals can work closely with the SME through the door of their practicing opportunity. The first step in building a culture of cost consciousness in a SME is to establish a proper system of cost accounting in the enterprise. Young generation who are joining the bandwagon of SME are focused towards markets, products and price. Cost control is highly required in order to scale up business . A SME based in Rural India might get credit and grow his business but at a later time due to improper cost management might end up with slow growth and might have to close down business. Owners should look at expenditure on establishing costing system as investment which yields returns over a long period of time. Having a good system of cost accounting is not a statutory pre-requisite for a small company. Indian companies who have galloped their operations from small scale to large scale are the ones who concentrated their effort on monitoring their financial performance from time to time. Modern manufacturing systems demand modern costing systems. Rising raw material prices can be managed by sales mix of products manufactured and sold without affecting the business revenue. SMEs should adopt techniques like Activity Based Costing for overhead cost allocation and customer profitability management, Target Costing etc. Cost Audit and cost records help the SME management to understand the price and cost patters. The next step is towards bringing a cultural change for cost consciousness is creating awareness about cost control among employees. Training managers to deal with cost data helps them in creating the right outlook. Sometimes the owners fail to perceive an operational issue but the shop floor workers might have a better understanding of the problem at hand. A culture of cost consciousness can resolve such matters in timely manner and avoid undue complexities leading to drain in financial resources. Those SME who are already in the operation beyond decade have their product life cycle changed after approximately every 4 years and hence there is possibility for implementing vital concepts of value engineering to improve the value and reduce the cost. Management accounting practices such as budgeting for controlling cost, profit and sales budgeting and target costing have proved to be beneficial for the SME. Improper costing and pricing of products have become detrimental for the growth of the SME segment. Over and above in the global map Indian SME needs to price their products in such a way that penetration into exporting countries grows. This pricing can be termed as penetration pricing. SME needs the expertise of cost accountants under the cost audit to measure the price and design the penetration pricing. Now a question might come up that SME cannot afford cost audit and cost record related compliance aspect. Well Indian SME can afford the same since most of the work can be outsourced and will be managed by the practicing cost accountants who based on certain fee will take care the entire part.Remove the threshold limits of turnover and reduce the same so that most of the SME comes under cost audit ambit. If the qualification of the RBI is not changed by including the name of the Cost Accountants the profession will loose a big opportunity of the rising Banking Industry growth. The profession is not proactive is well proved. We should never look for inclusion of the profession under the qualification of RBI. We need to go beyond and help the Indian economy to build a sustainable growth driven economy with negligible controlled risk. Cost Accountancy profession & its reports are risk mitigating tools. Cost Audit and Cost Records should be made mandatory to be included along with Financial Statements and Net worth certificate for availing loans. Rising NPA have been issue and this will continue to grow as the whole set of game is based on True and Fair view of the Financial statement projected by the Chartered Accountants. Indian economy since its birth have only kept Chartered Accountants in the Banking industry either from senor most positions to any other area. 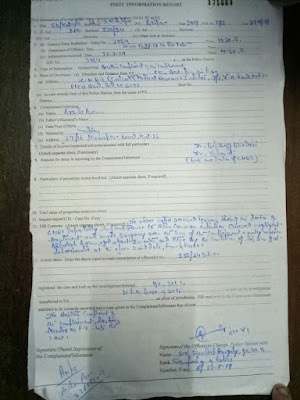 Till date only financial statement and net worth certificate provided by the Chartered Accountants used to be sole document for the availing loan. 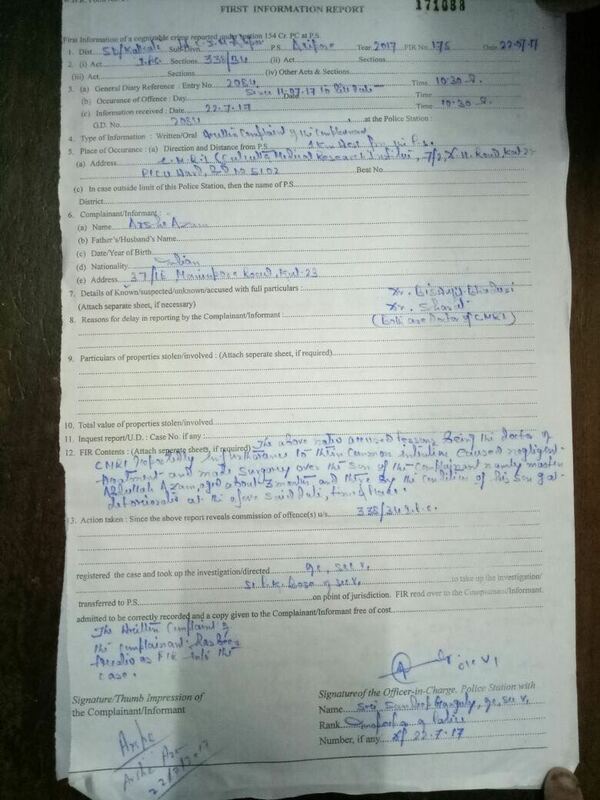 Cost Audit and Cost Records were never submitted along with these documents. At the present time the financial audit is focused on the financial statements. Its clear that this focus is unduly narrow. Cost Audit report and records would help the bank management to confirm the basis on which the financial statements have been prepared and for the auditor to make clear that they are relying on this statement. Cost Audit and Cost Records should be made mandatory to be included along with Financial Statements and Net worth certificate for availing loans. Today’s rising NPA is due to the lightness of regulation and the pursuit of unsustainable business models by boards were the most significant factors leading to the crisis. The efficient allocation of capital is fundamental to the capitalist economic model. Cost Audit record along with financial statements and net worth certificate would help the bank management to have deep understanding of the fairness of the financial statements certified and provided to the bank.Cost Audit report helps the industry and government to capitalize on strength and weakness of an industry or company in the long term. Historically if cost Audit and cost records were included along with the fanatical statements then the banking management might have got idea about the changing dynamics of the business operations and its functioning and the process of how the audit reports were derived. The report should have given understanding to the banks management about the various angles of the industry pricing strength n and cost competitiveness. Now if a company is losing its pricing competitiveness or loosing cost monopoly then obviously it gives an idea about the future of the business or industry as whole. Inclusion of Cost Audit Report and Records along with financial statement for availing loan will be game changer for the banking industry getting from getting exploited in the long term. Wrong credit off take have lead today banking industry to become skeptical about lending in today’s economic policy reform days. The prime reason behind is that banks never understood how the industry or which industry needs which type of capital allocation and depth of the same. Today the rural India and SME sector is facing the heat of non availability of loans as banks are reluctant to give the loan. 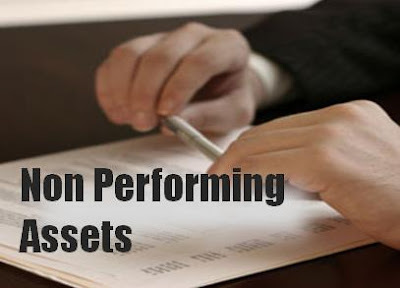 Capital allocation should have been efficient historically provide the cost audit report and cost records were mandatory part of the financial statements to and net worth certificate to be submitted for availing loan. Cost Audit report and record should have give the banking management to have deep understanding about the future pattern of price and cost aspects which is the prime factor while one repays the loan to the bank. On the other hand currently Chartered Accountants hold a position either from the top management to the credit rating fellow and hence there is significant lobby of providing credit based which finally leads to NPA. Now in this respect the RBI have come up with the qualification for CFO appointment in the banking industry which also takes the position for the payment banking industry For the CFO's post, the RBI recommended qualification as a Chartered Accountant and an experience of 15 year. The experience should include overseeing financial operations, preferably accounting and taxation matters, in banks or large corporates/state-run enterprises/financial institutions. 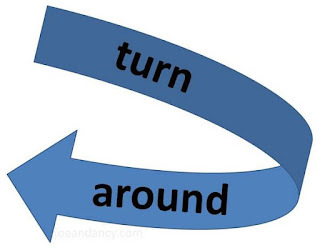 Ten years of this should be with banks or financial institutions, including five years at a senior management level. The profession is not proactive is well proved. The appointed members at the helm are not working in parallel to the Industry otherwise this thing might not have happened. Inclusion of Cost Accountants under the definition of Accountants in the same QUALIFICATIONS will play competitive position for the banking industry. As cost accountants plays the role of ears and eyes of the government, inclusion of the same in the CFO qualification will at least keep a vigilance Angle on the banking industry operation. Its well knows that Public sector banks are under intense pressure of NPA recognition and this credit goes to the ones who have ruled the position under the said qualification. If Indian economy needs a balanced approach then inclusion of peer professionals is highly required. Cost Accountants having 15 years of experience should be given an equal opportunity as their role is minimization of cost and control of risk management. Cost Accountants are in the profession of Cost Audit and maintenance of cost records hence they have better view about the Indian industries requirement and their problems. This cost audit report will help banks also to access the position of the Indian industries and companies as these data have negligible position of getting cooked as compared to financial statements. The payment banking system is growing up stupendously and it has a long way to go. Digital Transactions have taken a new shape and size and hence the ATM segment is going to vanish within the next couple of years or mat be within the next decade. Biometric based financial transactions are the new revolution. Indian consumers are getting used to digital transactions, money transfer, and micro payments. But this is only the tip of the iceberg. There are huge opportunities in social lending, micro investments, instant credit, daily instalments, etc. This is the place where the payment banking industry has taken a new shape and opportunity growth. Even its being found that many established banks and financial firms are partnering with fintech companies to go digital. Payment banking system is going to change and fill in the gap of the traditional banking industry. Well payment banks and Indian banking industry revolution plays pivotal role. Its has been found the said qualification people have huge role behind the rising NPA where from credit ratings tweaking of financial papers have played pivotal role. If the qualification of the RBI is not changed by including the name of the Cost Accountants the profession will loose a big opportunity of the rising Banking Industry growth. 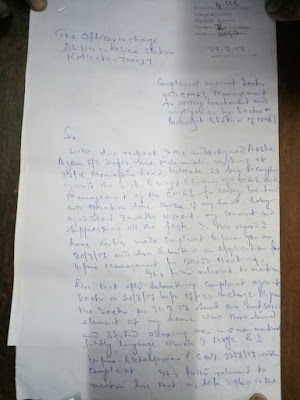 Till date banks never used the data of the cost audit and cost record where the banks management should have got an idea about the changes in the pattern and trend of the various changes and behavior of the business operation, its financial operation and its internal process of business growth/decline. Financial statements have created mess up which is very much clear from the current rising NPA. 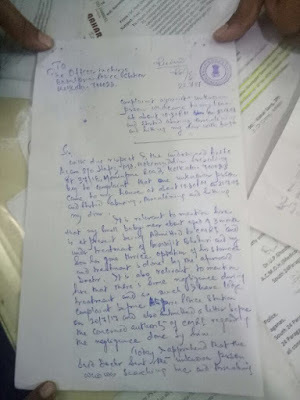 This is mainly due to sole dependency on the Financial statements certified by the chartered Accountants who despite of knowing the unfair condition of books of accounts and portrayed a brilliant picture for getting loan from the banks which finally leads to the NPA. A profession which is an eye and ear of the government has been ignored for the last several decades. Cost Accountants want only competitive position in the banking industry so that the history of unscrupulous NPA is not created in the long term. At the same time inclusion of cost audit and cost records along with financial statements certified by the chartered accountants for getting loans should also be made mandatory. This will safe guard and act as double check for the company’s financial statements. For the betterment of the Indian economy and to have efficient allocation of resources to the various industries of the Indian economy to achieve a double digit GDP growth inclusion of cost audit and costs records along with inclusion of equal opportunity to the Cost Accountants for filling up the vacancy at various banking levels should be provided.